Chicago’s northwest side is where you’ll likely find the city’s densest population of single-family homes. 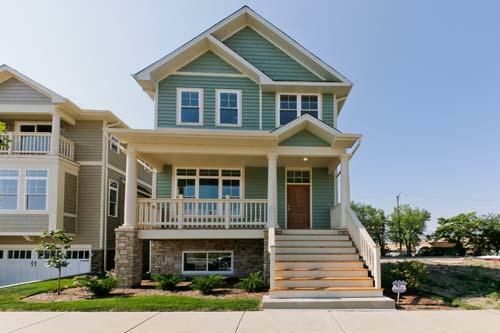 Located further away from the lakefront and widely separated from other hot Chicago neighborhoods like Lakeview and Lincoln Park, northwest side single-family homes in Chicago are extremely desirable to home buyers looking for ample living space, wider lots, and much less hustle-and-bustle. In addition, single-family homes on Chicago’s northwest side are quite a bit more affordable than in other locations closer to downtown. Single-family homes around the northwest side are listed as low as $170,000, but can also go up to well over $1 million for a luxurious and expansive property. If you’re looking for a more affordable, yet nice, single-family home on Chicago’s northwest side, neighborhoods such as Old Irving Park, Albany Park, North Park, and Mayfair may be the perfect fit. However, if a luxury single-family home on the northwest side with all the bells and whistles is within your budget, Ravenswood, Ravenswood Manor, and Sauganash are excellent options that are worth looking into. For more information on northwest side Chicago single-family homes, or to schedule a private showing for a home that’s on the market, give Ted Guarnero a call today at (312) 566-8141!